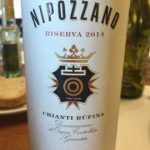 Castello di NipozzanoÂ Riserva 2014. Italian wine producerÂ Frescobaldi is celebratingÂ the 150th anniversary ofÂ Castello di Nipozzano,Â Frescobaldiâ€™s oldest estateÂ with the release of aÂ limited edition of the iconicÂ Castello di Nipozzano Riserva 2014.Â Â The firstÂ vintage of NipozzanoÂ Riserva dates back toÂ 1864. A bottle of thatÂ vintage is still stored in theÂ Private Collection of theÂ Frescobaldi family. RetailingÂ forÂ Rs 3,500 a bottle, the wineÂ is available at La CaveÂ Wines and Spirits. Another fine wine fromÂ Wine Parkâ€™s portfolio,Â ChÃ¢teau de Saint Cosme,Â Gigondas 2015, alsoÂ figures in Wine Spectatorâ€™sÂ top 100. A far cry from light,Â fruity, forgettable CÃ´tesÂ du RhÃ´nes, Saint-CosmeÂ is a rich but refined andÂ multi-layered red fromÂ Louis Barruol â€˜s GigondasÂ estate. Louis Barruol isÂ the 14th generation of hisÂ family to look after Saint-Â Cosme, which the familyÂ have owned since 1570.Â The wine costs Rs 7,663 inÂ Mumbai and Rs 7,280 in Delhi respectively. A standard bearer ofÂ the regionâ€™s wines,Â IlÂ Poggioneâ€™s Rosso diÂ Montalcino 2015,Â showsÂ the typicity of SangioveseÂ without being disguised byÂ oak or heavy extraction.Â An entry level wine of greatÂ subtlety and aromaticÂ character from a traditionalÂ house, this Rosso showingÂ the forest, earthy side ofÂ Sangiovese, is aÂ stylishÂ wine of real finesse thatÂ would pair beautifully with aÂ mushroom pasta or risotto.Â Available in Mumbai fromÂ The Wine Park for Rs 3,998,Â the wine features in WineÂ Spectatorâ€™s 100 top winesÂ of 2017.